If you want to know if you have an Italian or American Masi built after 1973, it’s all in the numbers. Italian built bikes have the frame size stamped on the bottom bracket and sometimes a matching size stamp and date stamp on the head tube. 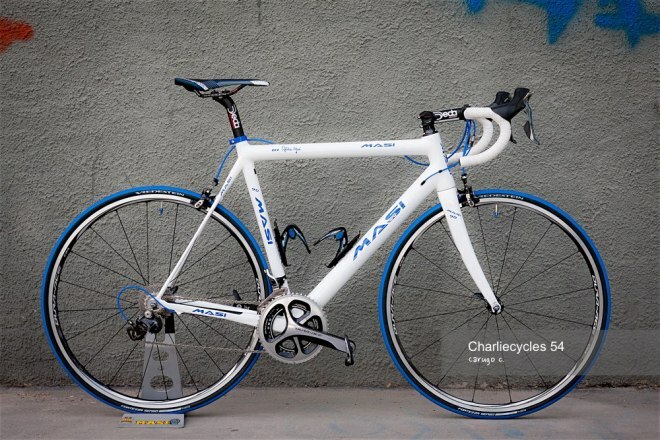 American made Masi’s have a serial number (with a few exceptions) or a serial number and frame size stamp. All Gran Criteriums built after 1978 are the U.S. made. And today, all frames made by Alberto Masi have his sign.